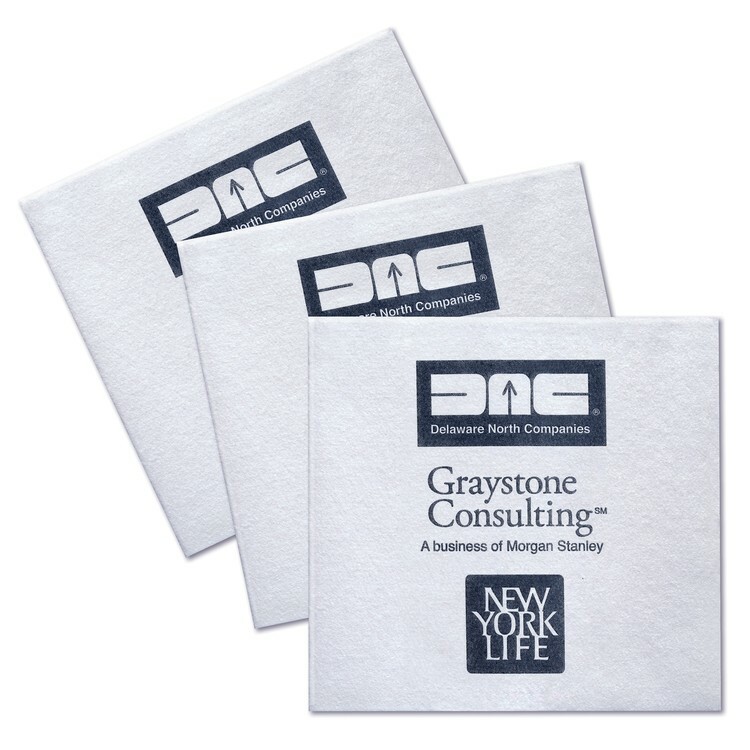 When custom-imprinted with your logo, linen-Feel™ paper beverage napkins deliver life and color to your facilities. They tell your customers that details matter to you and convey the pride that you take in your business. And for the bottom line, linen-like napkins give you constant cost saving advantages over laundered linens. Imprinted beverage napkins are not only for restaurants and clubs. They’re for expressing your hospitality at grand openings, sales meetings, anniversaries, new product introductions, trade shows, company picnics – and all other occasions when your firm provides food and beverages.